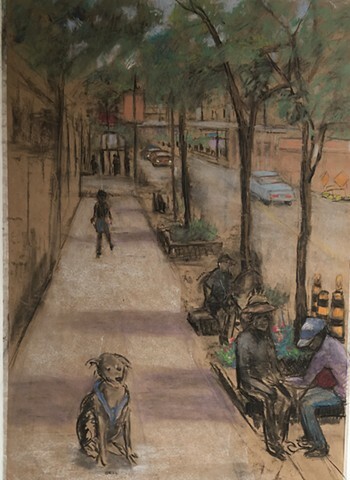 This drawing was made on location as part of the Hennepin Theater Trust's program to foster human connection on Hennepin Avenue through the arts. I talked with all the people and the dog in the drawing & some of their names are included. There were many delightful and fun interactions that day.